Developer Geosnow has released GeoFilza, a new Filza replacement for iOS 12. 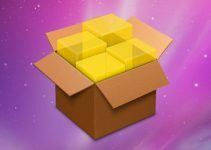 Here’s how you can download and get this file manager on your Apple device. 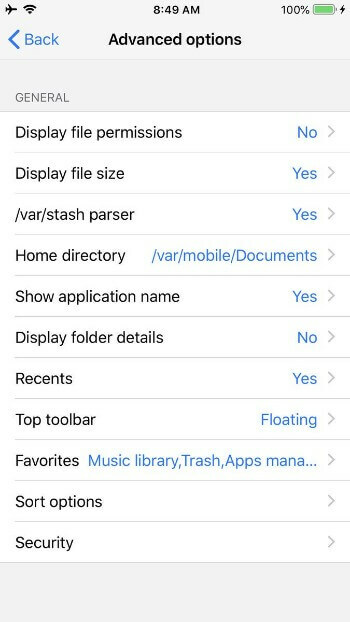 GeoFilza is a watered-down Filza file manager replacement for iOS 12.1.2 and below versions. It is developed by security researcher Geosnow using Brandon Azad’s voucher_swap exploit. As of right now, the app is rather limited as it only offers read capability in the root filesystem. 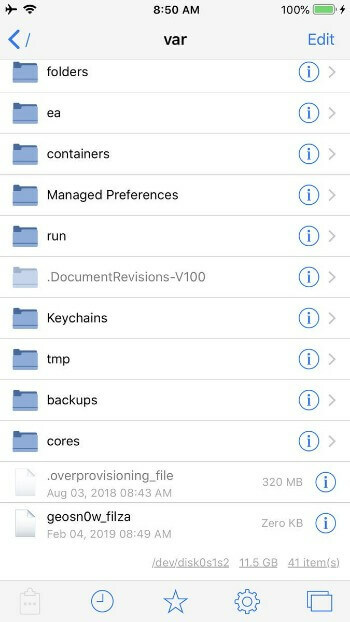 Even though it escapes the sandbox and runs as root, filesystem customizations and hacks that you could add on iOS 11 with a file manager are no longer possible. Only the var subdirectory possesses full-fledged read/write permissions, which allows you to access as well as edit the files present in it. This further limits its ability to allow users to customize their devices by modifying the default system values. Previously, this app threw the “The main app was modified” error message on iOS 12 due to its in-built DRM. Geosnow then contacted TiGi Software, the original developer of Filza file manager, to send him a DRM-less version of the app. He then incorporated the DRM-less app into his own hacked-up version of the manager. If you are willing to take it for a test drive, make sure you own a fully compatible A9-A11 device (iPhone X and below) and iOS firmware version. It’s worth noting that GeoFilza doesn’t currently support any of the A12 devices (iPhone XS (Max) and XR). If you have an A12 device, kindly contact the developer and test the app on your device. Further, 4K devices – iPhone 5s, iPhone 6/6 plus – are incompatible too. February 15 – Adds support for A7/A8 devices, improves the success rate for iPhone X and iPad Pro. February 9 – A12 chip support added for iPhone XS, XS Max, and XR. 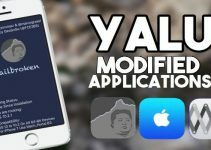 If you wish to install this app on your device, you will have to make use of Cydia Impactor. Otherwise, the app will simply fail to launch. That’s pretty much it. If you run into errors or glitches while installing the app, just leave a comment below. Also, don’t forget to watch this amazing installation video tutorial if you get stuck somewhere. 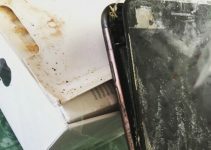 Can a malicious Cydia tweak make your iPhone explode? hello, this works IPhone XR. IOS 12.1.? No, A12 models are not supported yet. I am unable to go into apps manager. The app crashes, and sometimes crashes my phone. 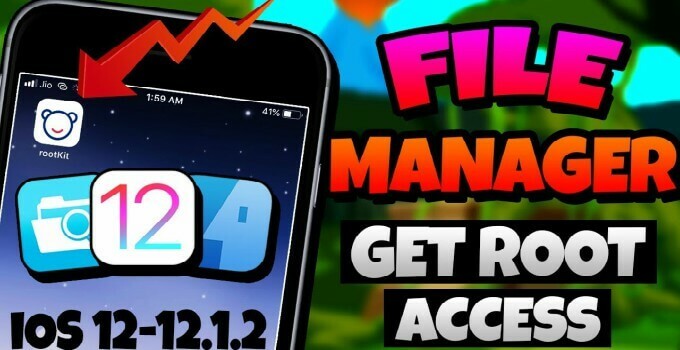 Apps manager is crashing on a lot of devices, so I recommend trying this version – Filza for iOS 12.
does it work on IOS 12.1.2? I have installed the App with my own Apple ID, i used Cydia Impactor. So the App no crashes, but GeoFilza can not Write in the Partitions, I would change the Locksound and bring the iOS 7-10 Signalbars back. I have iOS 12.1.1 on my iPhone 6s!!! The Same with FilzaEscaped. Try using the latest Filza update by Tigi software. It’s not working on iPhone 6s iOS 12.1. The phone keeps rebooting everytime as soon as I tap on the app to launch. That’s a known issue and there won’t be a fix for that anytime soon. It’s not working on iPhone 6s with iOS 12.1.1, because the App Crashes(iOS close the App directly)!!! Please fix it. The developer is working on stability at the moment. Wait for an update. It’s not fully compatible with iOS 12. Not working on ipad air 2 A8X! A8X devices are having issues right now, wait for an update. 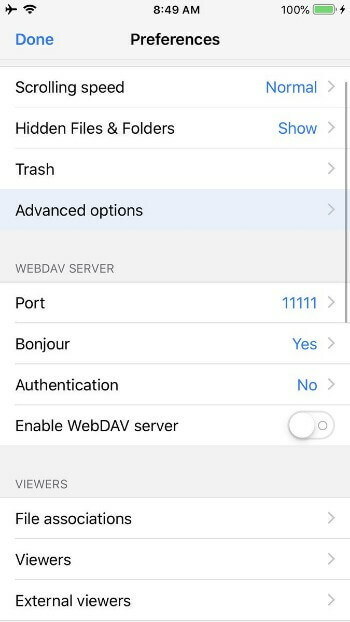 WebDAV server does not start. “Applications” tab crashes the app. WebDAV server is not functional as of now. Are you using low power mode? Choosing “Applications” tab crashes the app.